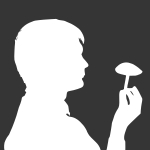 Seth98cvp posted a topic in What Kind of Mushrooms are you Growing? I'm not sure what type of mushroom this is. Please help. Also is it edible? I found it growing in horse manure.